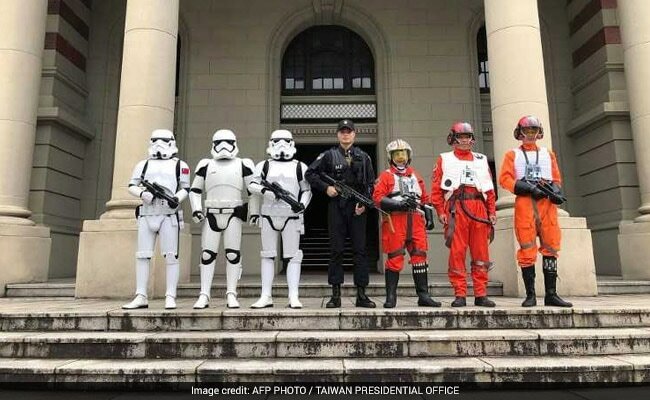 Taipei, Taiwan: Darth Vader and a pose of gun-toting stormtroopers assailed Taiwan's presidential office Friday -- but the only shots fired were from a barrage of cameras, in a sci-fi makeover for Star Wars Day. 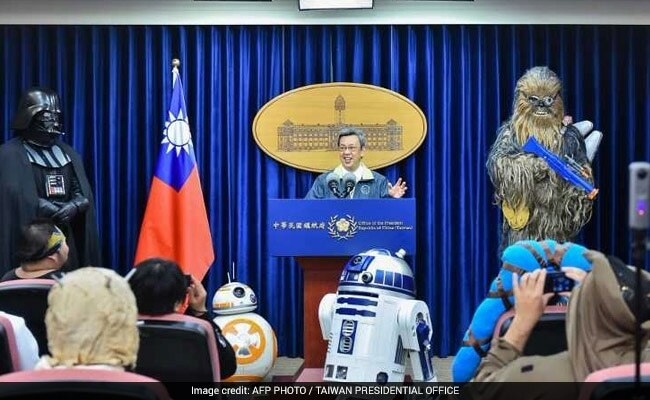 The island's Vice President Chen Chien-jen and fans dressed as a motley crew of intergalactic characters chanted "May the force be with you" in homage to the George Lucas space drama as part of events held around the world on May the fourth. 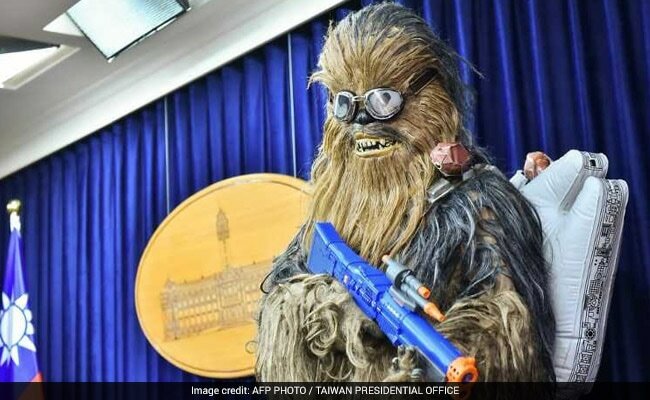 A smiling Chen was flanked by a menacing Vader and a somewhat dishevelled Chewbacca, toting a blue plastic gun and sporting a rictus grin and aviator goggles. The vice president thanked participants for travelling from a galaxy far, far away to attend the tongue-in-cheek event. 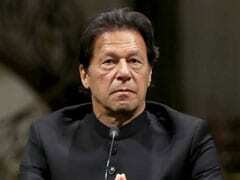 He also used the occasion to poke fun at Taiwan's President Tsai Ing-wen, who was compared to the diminutive jedi master Yoda on Taiwanese social media after a 2015 Time Magazine cover photograph. "If you all come in peace, I welcome you all as our guests. Today Master Yoda is absent, but I quote one phrase from Yoda -- 'size matters not'. Taiwan is bigger than you think," Chen said before posing with lightsabre-waving fans.